The costs associated with personal injuries are high. From lost wages to medical expenses, if you or a loved one suffered a significant injury, you’re looking at mounting debt. A personal injury claim allows you to recover many of those damages. 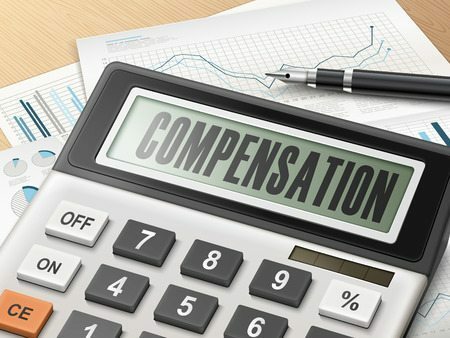 However, the biggest question is often, “how much compensation will a claim bring?” Here’s what you need to know about estimating the worth of an injury or accident claim. Two types of damages paid out in a personal injury or accident claim — economic damages and non-economic damages. Economic damages simply refer to the expenses that have concrete values. For example, medical expenses, damage to any property, and lost wages are economic damages. Non-economic damages, on the other hand, are values that aren’t concrete and are open to interpretation and opinion. Compensation for pain and suffering, disfigurement, disability, and similar fall into the category of non-economic damages. It is difficult to accurately figure for economic damages because of the unknown future medical expenses and lost wages. But on the other hand, calculating non-economic damages is even more challenging. Insurance adjusters and injury attorneys use a multiplier to arrive at a numerical value for damages. These damages don’t traditionally have a value assigned to them. Economic damages are multiplied by 2, 3, 4, or 5. The multiplier depends on the severity of the injury. For example, an injury that leaves someone out of work for a few weeks but they are able to recover and return to a normal life may only have a multiplier of 2. However, someone permanently disfigured and suffering extreme emotional distress due to the accident may have a multiplier of 3 or 4. A multiplier of 5 is used in cases of egregious damages, or in instances where punitive damages are necessary. At Appalachian Injury Law, we have extensive experience working with injured individuals and their families. We work hard to ensure each of our clients receive a fair settlement for the damages they’ve incurred. To learn more about your options when hurt due to another person’s carelessness, call today at (706) 515-1995 or toll-free at (800) 393-8595.